After a successful brainstorming session with my diploma in web development students, one of my students passed on a moment capturing our ‘storming’. 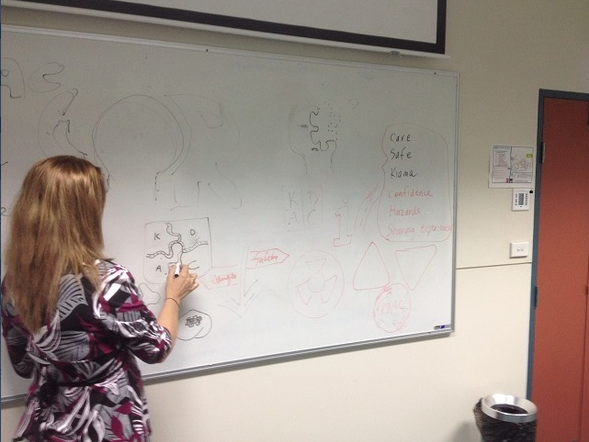 Today, I had another session with my certificate IV web development students and it occurred to me that the days of ‘storming’, ideas generating and graphic design development are some of my best! Thank you to all my dedicated and hard working students for making my day[s].